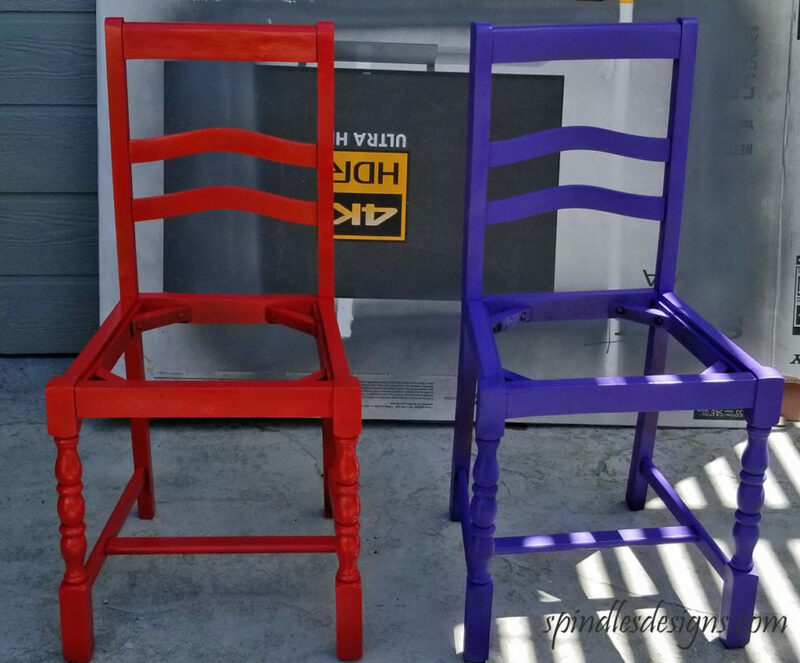 “Renew & Brighten Old Chairs”. They started out very drab indeed. 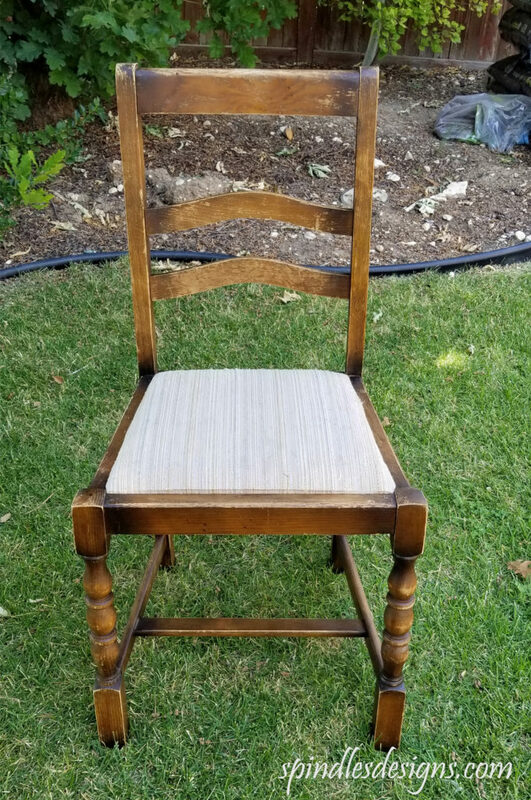 When we first bought them, they were just for extra chairs for at the dining room table so we just found a neutral fabric to cover the very worn seats of the chairs. We have recently remixed rooms in our house and their new home is the grand kids play room. They needed some help! I inherited a small drop leaf table from my grandfather. 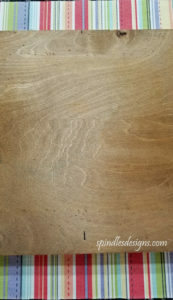 He was a great one to paint things by mixing whatever he had together and this table ended up a bright orange. These chairs a little smaller than most chairs and thus they are perfect for this table. My husband suggested we paint them all a different color so off to the fabric store for some color inspiration. 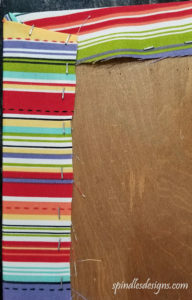 I found the perfect stripe with almost every bright color in it. Next it was off to Home Depot (his favorite store) to match spray paint. 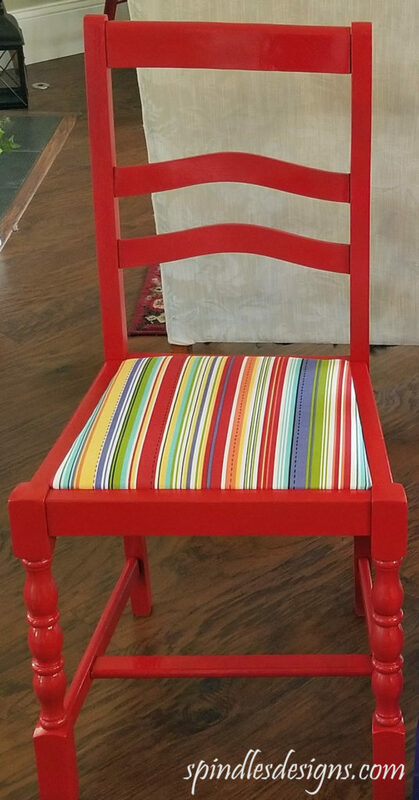 Because the fabric is striped and the seats are not square, I measured the bottom of the seat and found centers top and bottom so the stripe would be straight. Then out came the staple gun. The padding was still in good shape so it didn’t need to be replaced. I was so happy with the results when I finished the first one. Now the kids have a table and chairs in the play room to play at, color and build puzzles on. They love the chairs. Of course the girls all want to sit on the purple one. 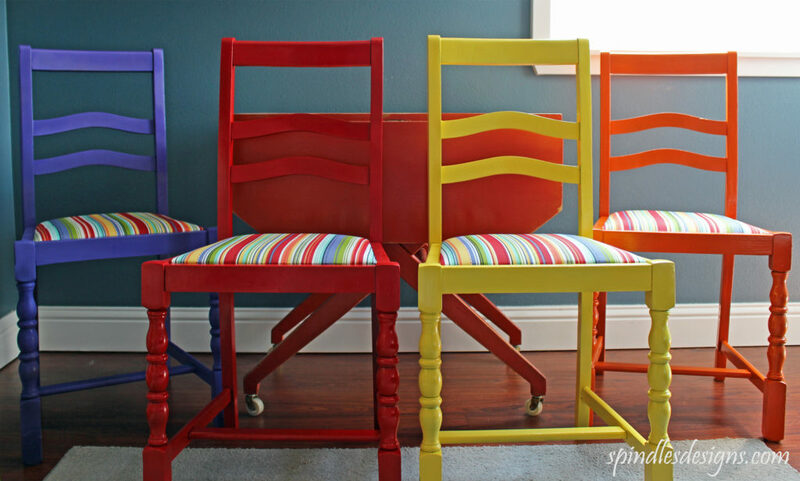 Renew & Brighten Old Chairs.